Ok, so I'll admit the first words out of my mouth were 'Where's the manual?!' This curling iron has a large gold barrel and all sorts of knobs and features that I'm not used to. This is a far cry from the Mary Kate and Ashley Olsen curling iron that I've had the past nearly twenty years. My favorite feature is the heat setting feature. You can adjust the amount of heat in the barrel so that you get just enough to actually curl your hair, but not enough that you're going to burn it. There's also a really cool lock feature that you can have a lot of fun playing with. It took me a few tries to get used to the swirly grip handle and the way that you actually curl the hair towards your scalp. There's an extra rod with a roller attached and you just roll your hand right along it to move the curling iron towards your head. This actually saves on a lot of wrist action once you get the hang of it. The only thing that I really didn't like was the fact that my old one had a safety tip at the end. When curling towards the top of my head, if one arm got tired, i could gently hold the top part of the iron without burning myself. This barrel doesn't have that. I quickly learned not to grab it though! *The Hot Tools Curling Iron is very easy on the eyes with its bright gold barrel and black handle. It heats up to 430 degrees and it comes in an assortment of sizes so you can choose the one that's best for you. Or maybe get several to achieve a multitude of looks. 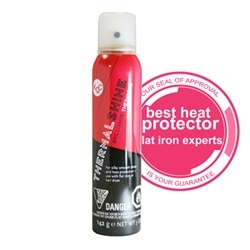 This spray is designed to make hair shiny while at the same time preventing distress from heating your hair. Suggestions are to spray hair while wet or dry and then blow dry or straighten to desired style. Personally, I had to play with it right away. 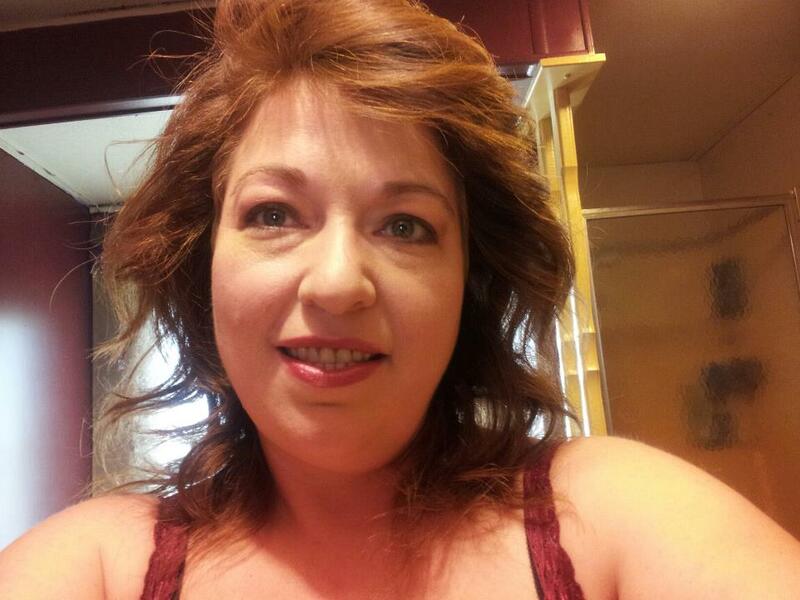 I misted a light sheen onto my dry hair that was already styled as I desired. I know. I'm a rebel. I was actually really impressed with the spray design of the can. It has a smooth, even mist that evenly coats hair. I immediately noticed a difference in the shine factor that lasted for several hours. I tried it again later with my curling iron and was impressed to find that it really didn't affect my hair. Some shine sprays will tend to harden a bit or make hair stiff but this one left my hair shiny and bouncy as it had been before. Not only that, it smells great! *Thermalshine is a lightweight, non-greasy formula that eliminates frizz, softens hair and gives it shine. No build up. You can use it with curling irons, hair dryers and flat irons. Both products get our stamp of approval for our Holiday Gift Guide! They would make a great gift on their own, or in a stocking.